Welcome to the Beta Alpha Chapter of Sigma Nu, recolonized in 1986. We are a Fraternity of proud traditions building on the guidance laid out by our founders in 1869 at the Virginia Military Institute. Their mission of developing ethical leaders, fostering personal growth, and perpetuating life long friendships form the bedrock upon which our chapter was established and continues to flourish. 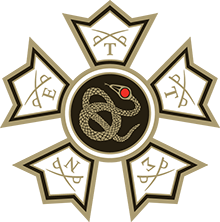 It is our hope that alumni, parents, potential rushes and current brothers use this webpage to learn more about the fraternity and keep updated on our current initiatives. This webpage is part of a larger effort to increase membership, improve the house, and to involve a greater number of alumni and parents to be a part of our success. Thank you all for your support, and please do not hesitate to contact us.